Mr. and Mrs. Saunders added an extension onto their bungalow in Doncaster. 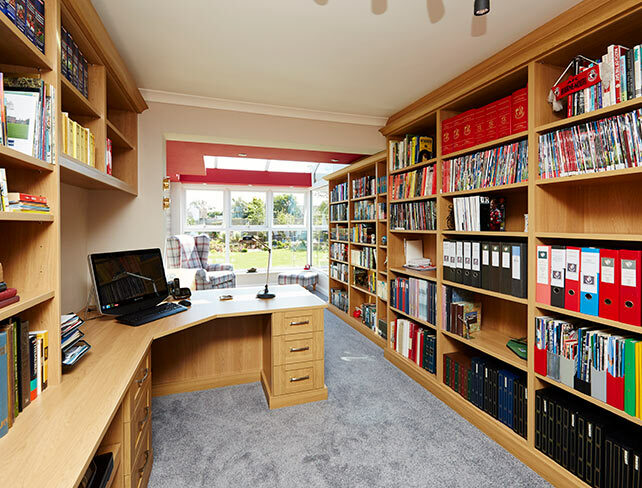 This created a beautifully light and spacious room ideal for an extended home study and bookcase storage. In order to utilise this space, they requested Strachan to design, craft and fit bespoke study furniture to create a relaxed and classically styled work environment. A traditionally styled desk was fitted against a wall. Featuring a wooden peninsular design, it delivered a generously sized work space. 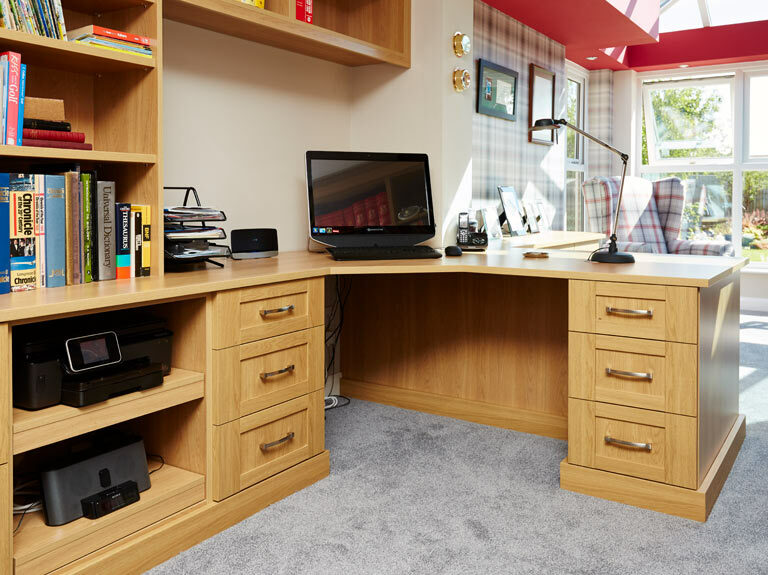 Internal storage was also integrated into the desk and was discreetly hidden behind cabinet doors that perfectly matched the finish and detailing of the desk panels. A pull out printer shelf was integrated into the fitted desk unit. 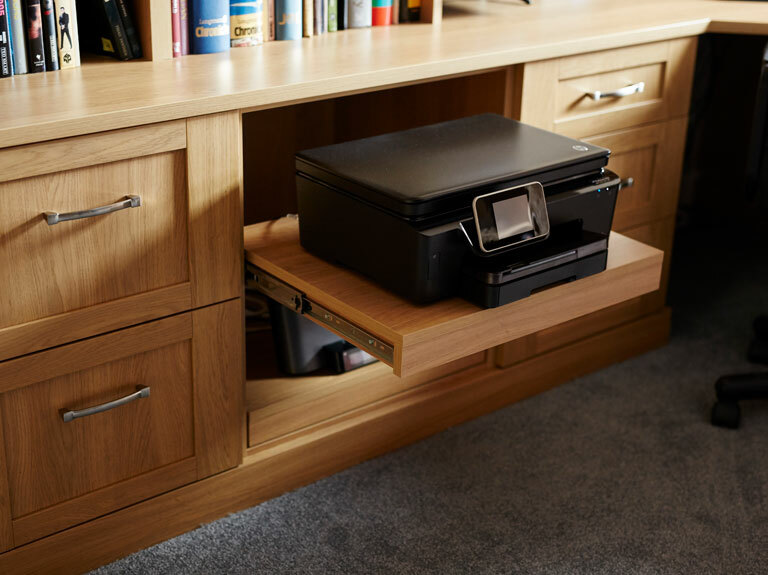 This was finished in a matching English Oak and effortlessly slides out to provide full access to the printer when required. 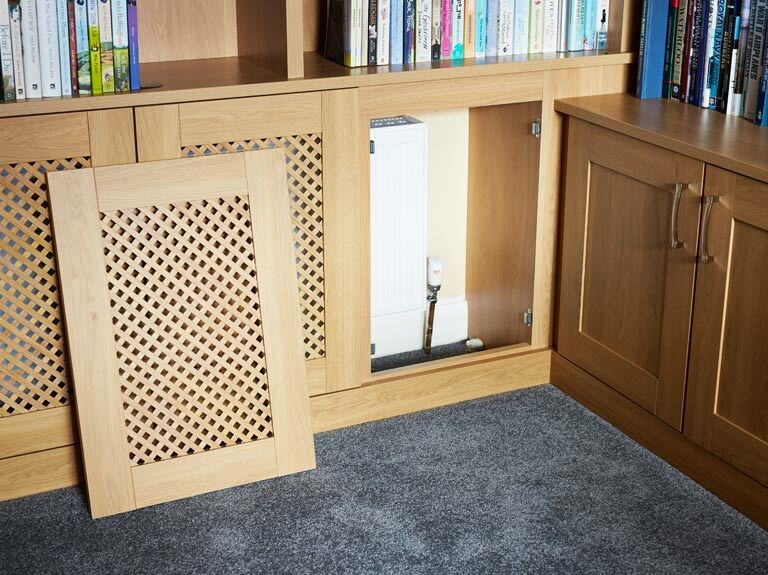 Another pull out shelf was fitted below to allow the customer’s speakers to be stowed out of the way when not in use. On the opposite side of the work desk, open low level display cabinets were fitted. 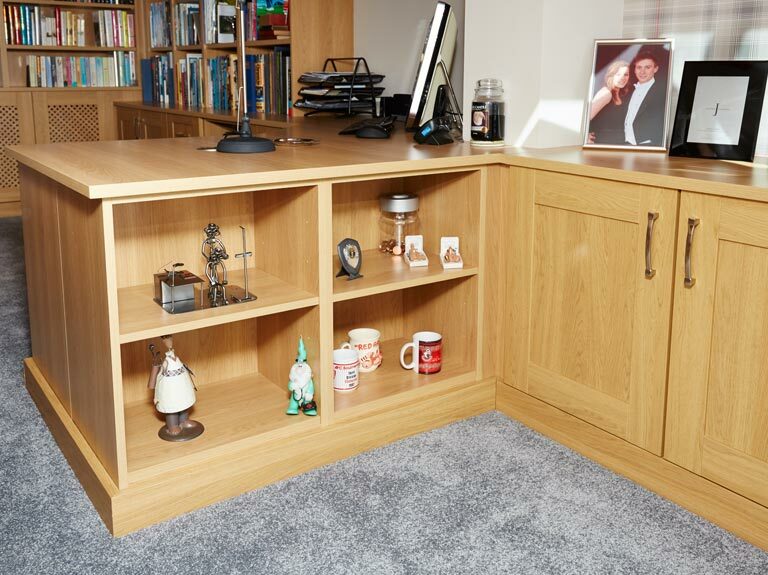 They provide four generously sized display spaces with an internal surround of English Oak wood grain, the ideal place for the customer to proudly display their collectibles, awards and personal items. The support beam in the conservatory created an awkward space for shelving. 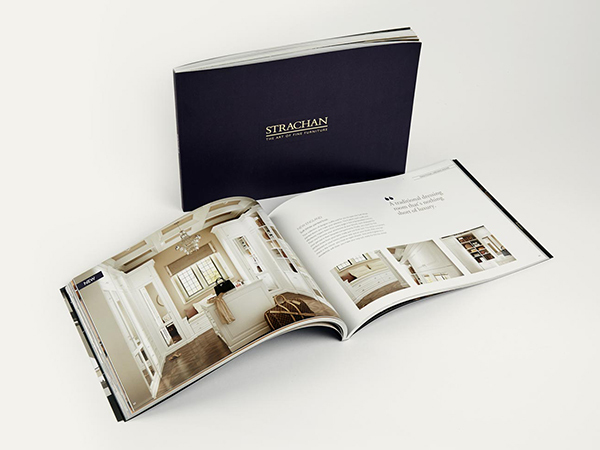 In order to maximise book storage and utilise every inch of vertical space, Strachan created bespoke dual height fitted bookcases. 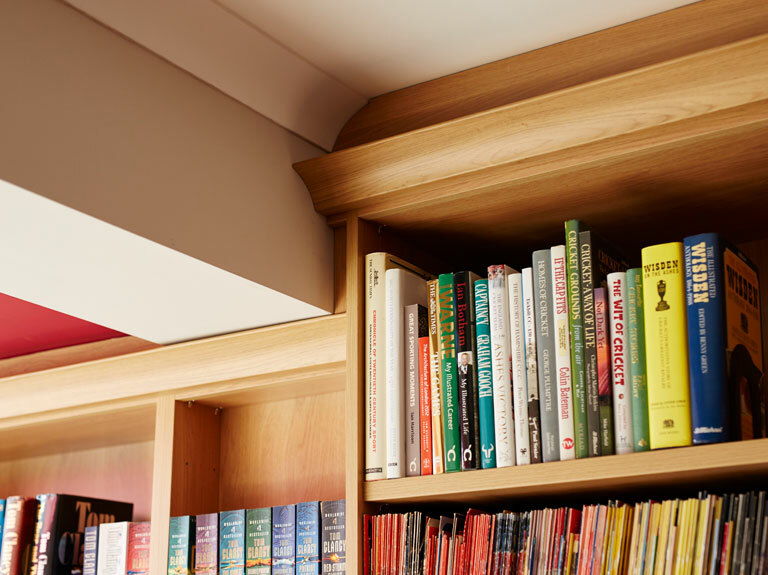 These provide an uninterrupted aesthetic, as well as delivering variable mixed height and depth storage for the customer’s literary collection. In order to ensure the room’s classically styled fitted furniture wasn’t disrupted, co-ordinating radiator covers were configured to hide the radiator, whilst providing easy access to control valves for use and ongoing maintenance.